With cold weather coming, Pennsylvania workers may be exposed to frigid conditions that can result in cold stress related injuries. However, even workers in warm climates or who work indoors can suffer cold stress injuries. Luckily, many of these are covered by workers’ compensation. Even workers in temperate climates can suffer from trench foot. Following Hurricane Katrina workers in New Orleans involved in cleanup were exposed to long periods of work in flooded areas that soaked their feet resulting in numerous cases of trench foot even though the outdoor temperature was mild. Workers suffering from chilblains have a painful inflammation in small blood vessels in their skin. This is caused by a sudden warming from cold temperatures. The condition is sometimes called pernio and is often confused with frostbite. It causes itching, red patches, blistering and swelling of extremities such as your nose, ears, toes and fingers. After treatment, chilblains usually clear up after about three weeks. However, they can return seasonally for years. Chilblains can lead to infections that can cause damage when not treated. All types of workers can get cold stress injuries. Construction workers, first responders, dock workers – in other words, anyone who is exposed to extreme cold or frequently exposed to the outdoors and cold and/or wet conditions. Employers tend to view employees who claim cold stress injuries from their work with suspicion and may try to make filing a claim difficult. 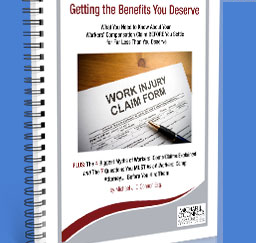 In such cases, they often try to make the case that you were injured off the job. If you have experienced a cold stress injury that is work related you should contact the expert cold injury workers’ compensation attorney at the Pennsylvania attorney team at Michael J. O’Conner and Associates at phone number (570) 874-3300. The first visit is free and the firm is not paid unless your case is won.